After her game Sugar Rush is damaged and the part to fix it appears to be too prohibitively expensive to purchase, it looks like Vanellope’s (voiced by Sarah Silverman) game is going to be turned off and taken out of the arcade at the end of the week. But Wreck-It Ralph (John C. Reilly) isn’t going to let his best friend or her fellow Sugar Rush characters become homeless. With the arcade installing Wi-Fi for the first time, he convinces Vanellope to join him on a trip to the internet so they can get the component needed to fix her game to the store before the end of the week. Both figure that this adventure will be a fun little lark and they’ll easily find what they need and then return back home before anyone even knows they’re gone. But Ralph and Vanellope underestimate both the intricacies as well as the wonders of the internet, neither prepared for the devil-may-care idiosyncratic craziness. One escapade leads to another, and soon the pair are wildly overbidding at eBay, posting crazy videos hoping for likes, scouring the dark web for help, hanging out with Disney princesses and taking part in insane street races battling the supposedly unbeatable Shank (Gal Gadot). Through it all, Ralph and Vanellope must learn just how strong their friendship is, the core understanding that they are there for one another no matter what the one thing that will allow them to succeed, not only in their quest, but in life as well. I liked 2012’s Wreck-It Ralph. It was charming and original, the Disney animated hit containing a heartwarming message at its core that audiences of all could relate to. But as good as that film was I can’t say I thought it required a sequel. I just couldn’t for the life of me figure out where Ralph and Vanellope could go next that wouldn’t feel like a retread or a retelling of what the first film did so well. This was one of those Disney efforts that I felt should remain a standalone adventure, and considering the only official part twos in the studio’s feature-length (non-Pixar) animated canon are The Rescuers Down Under and Fantasia 2000 I can’t say I imagined we’d be seeing a Wreck-It Ralph follow-up anytime soon. Not only was I wrong about that but I also happen to be extremely happy to have been so. 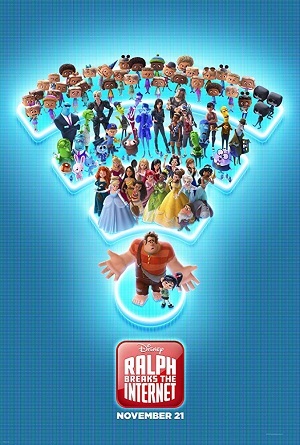 Ralph Breaks the Internet is an improvement on the first film in just about every way. Its plot, animation, imagination and execution are all excellent, this sequel an exceedingly enjoyable and inventive lark that has far more on its mind than it initially appears. If Vanellope and Ralph’s first adventure was like the transition between Middle School and High School, then this newest escapade feels like the first couple days at college before classes start during which parents say goodbye before heading back home only to worry about their kid’s welfare for some time to come. There is a melancholic grace and an emotive understanding to the ways in which friendships change and evolve over time, the continuous inventiveness of the film in that regard catching me by surprise. What’s great is that all of this could have been so lazy. There are so many obvious gags as far as the internet is concerned, so many easy places for Vanellope and Ralph to go to in order to make fun of the massive absurdity of this nebulous technological wonderland that has taken over the world with such ruthlessness. Throw in the fact the pair end up encountering a litany of Disney princesses while also visiting sites that in a lesser feature would have played like nothing more than a 112-minute commercial for all of the studio’s properties (inlcuding Lucasfilm and Marvel), I’m quite frankly blown away by what directors Phil Johnston, who returns to write the script alongside Pamela Ribon (Moana), and Rich Moore (Zootopia) have accomplished. There is a freshness here that’s consistently astounding, everything building to an emotional moment so honest, so pure, it couldn’t help but bring me to tears. What’s most fascinating is the ways in which Johnston and Ribon’s scenario moves from a variety of different subplots and side adventures before cannily unleashing its true narrative at the most delicately sincere moment possible. It’s like they’ve crafted a scenario that’s all side quests or alternate adventures that the players can take part in before the core story takes control. Ralph and Vanellope’s journey to get a new part for Sugar Rush? That only appears to be the most important thing going on. But that’s an illusion as the actual story revolves entirely around the nature of friendship and how people grow and evolve over time. It is about embracing change, learning from experience and letting go of that which is most dear to our hearts if and when the time comes to do so. Not that the film skimps on the spectacular set pieces or isn’t without a giant contingent of laughs. It has both items in spades. The initial street race between Vanellope and Shank is stunning, while a climactic bout between Ralph and nasty virus that uses his own insecurities against him is stupendous. As for the jaunt into Disney’s online world, I’m a little shook as to just how terrific that ended up being. The sequel actually calls out the studio’s monopolization of pop culture while at the same time utilizes their various properties (again, namely Marvel and Lucasfilm) in ways that actually serve the story and push the characters forward on their respective journeys. Finally, an entire segment devoted to Ralph’s self-mocking takeover of a YouTube-style video sharing site is a hoot, the confident show woman Yesss (Taraji P. Henson) as memorable a new character as any I could have hoped for. Then there are the sequences involving all of the Disney princesses. 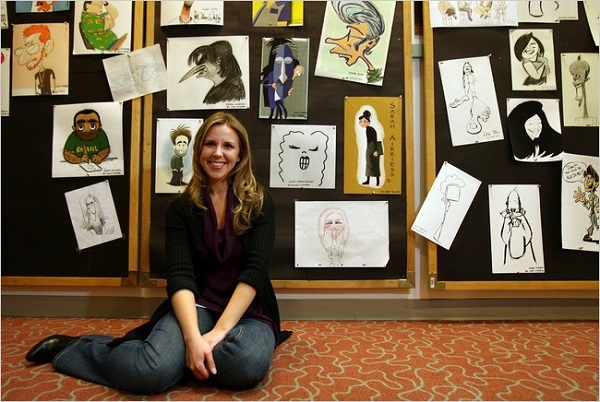 The wizardry behind these scenes is top-flight. The film isn’t content to just introduce all of these women into the story. Instead, it actually has the audacity to make them clearly defined, uniquely individualistic heroines all with their own personalities and ideas. Seeing them all together (the majority voiced by their original actress where possible) working as friends and teammates is beyond joyous, and it’s possible I might have let out a tiny squeal of happiness during their initial encounter with Vanellope as they all discover the bliss of pajamas, t-shirts and sweatpants. In the end, though, all of these visual and character-centric wonders pale in the power of the central friendship of the two heroes. The relationship between Ralph and Vanellope is the heart and soul of this sequel, they way they relate to one another authentically profound in its various nuances and intimate complexities. Their dual willingness to lay everything they have on the line for the other, even after a mistake is made or trust is inadvertently broken, that rings true in so many dexterous ways the overall effect is undeniably uplifting. The only thing that Ralph Breaks the Internet wrecked was my assumption the first film didn’t require a sequel, this animated jaunt into the online universe a complete and total delight.